Virtu Financial says a fake cryptocurrency called Virt Coin has no connection to the trading giant. The fake project put out a press release Thursday falsely outlining Virtu’s plan to launch a digital token. Virtu Financial, the Wall Street trading giant, is preparing to take legal action against a fake cryptocurrency that’s using its likeness and claiming a connection to the firm. Virt Coin, a fake cryptocurrency project, put out a press release Thursday outlining Virtu Financial’s supposed plan to launch its own digital token. “Douglas Cifu, Virtu Financial’s chief executive, told Wall Street recently that the company is going to issue the upcoming token VIRT for the trading desk,” the release said. The claims in the release are completely false, according to Virtu. Virt Coin is not listed on the widely used cryptocurrency data site CoinMarketCap. 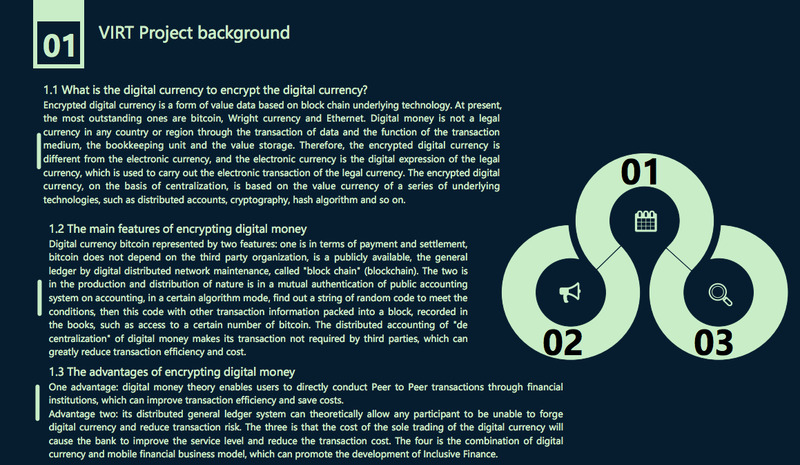 Virt Coin’s website sports Virtu’s logo in the left hand corner and a white paper uses a font that resembles the shade of green used by Virtu in its marketing materials. Virtu, a market-making firm, is known to have traded in crypto assets, but is a bit more shy about its presence in the market relative to other trading firms such as DRW, B2C2, Akuna Capital, and DV Trading – just to name a few. The cryptocurrency world has its fair share of fraud. Copycat tactics – in which fake entities claim to be associated with established brands or people – are especially common. For example, crypto trolls looking to solicit money from gullible passersby have made fake accounts in the likeness of figures such as Ethereum founder Vitalik Buterin and Commodities Futures and Trading Commission Chairman J Christopher Giancarlo.